Lay down a new trail! 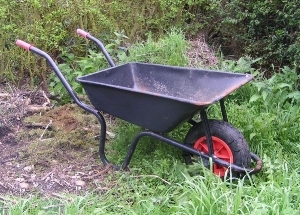 Drive a wheelbarrow! Sling a pitchfork and more! Volunteers of all ages - please help to mulch the new trail in the lower garden. The goal is to define this trail, mulch in the Memorial Garden as needed, and reduce the wood chip pile to nothing. There will be jobs for all abilities, including landscaping around the church buildings.